My kids have a lot more toys that I ever did growing up, but I honestly do my best to make sure they aren’t spoiled. Except when it comes to books. I have such a hard time saying no to books and my kids know it! You don’t have to go broke buying books. I buy a lot of my books at consignment sales, yard sales, online yard sale sites, library book sales, and of course Amazon. I also get a lot of great books through the scholastic book sale that my school does; they are always running sales and the costs are surprisingly low. Here’s the other thing, we go to the library a lot. In the summer we go at least once a week. I never restrict how many books they get as long as they return them. So we usually walk out of there with about 25 books! Listen, don’t push them to read material they struggle with. Let the teachers at school do that. Give them books, magazines, or whatever, that are easy, fun, and funny. If they struggle with chapter books, give them shorter books with lots of pictures. If they get overwhelmed by books, grab a magazine or a comic book. Here’s my best tip for reluctant readers in two words: Graphic. Novels. Graphic novels are amazing! They aren’t intimidating because they can read little bits at a time. Also, if the kids don’t understand all the words, they get the meaning from context because of the pictures! Buy all the graphic novels! Or get them from the library! #2. Your kids are making potty humor jokes anyway! Seriously, these are the books my reluctant readers pick up just to look at the pictures. Then they kids end up reading the little bits of words around the pictures or in the comics inside the book. It hooks them in, gets them interested, and then they want to read more. When we moved into our new house a few years ago, we were so excited to have a finished basement to use as a toy room. We left the books upstairs: one bookshelf in the family room and one in each child’s room. You know what my kids never do? Play in the awesome playroom in the basement! Because basements are creepy right? Even finished basements that have all your toys. So, out of fear or sheer laziness, they tend to hang out upstairs and the only entertainment readily accessible are all the books I can’t stop buying! So they read! Honestly, we totally do watch screens and we probably watch too much according to medical science and whatever else they base that on. But, we do have periods of time where there are no electronics on whatsoever. Kids will not pick up a book if they have a TV show or a video game as an option. At least my kids won’t. Then out of boredom, they end up picking up a book. Simple! We use books as a reward in our house. If you finish your homework you can read. If you get ready for school quickly, you can read before the bus comes. If you straighten up your room you can read. Honestly, just setting up reading as a reward makes it seem desirable. Conversely, we take books away as a punishment. Usually it’s to fit the crime-if they leave books in the car instead of bringing them inside they don’t get to read in the car for the next trip. If they lose a library book, they have to pay their own fine and they don’t get any books at the next trip. Again, taking books away makes it feel like something desirable, even if they aren’t quite at the point yet where they’d choose reading for themselves. I’ve heard that you should let your kids see you read for pleasure, but honestly I’m super bad at this and my kids still like to read anyway! I love reading so much I get totally engrossed in a novel and literally can’t do anything else until it’s finished. Luckily I can read pretty quickly, but it might be an entire day of reading. Dinner doesn’t get cooked, lunches don’t get packed, posts don’t get written, and kids get ignored. So honestly, I don’t really read for pleasure all that much! 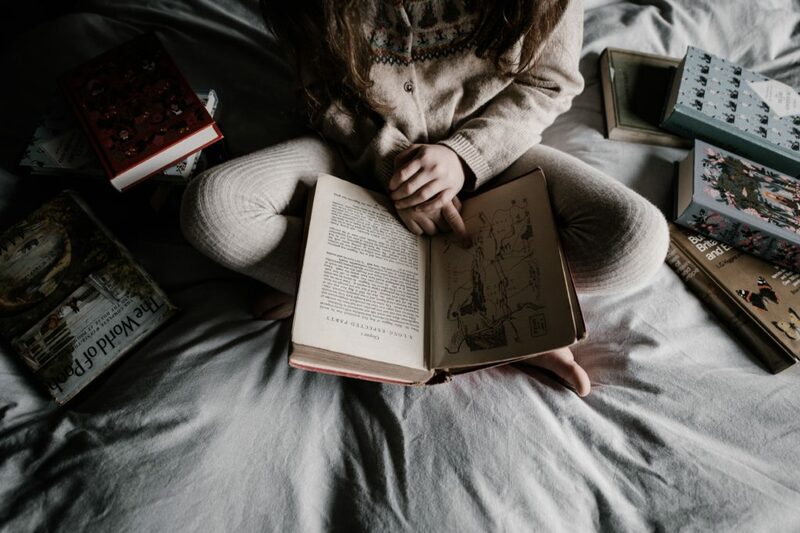 We read to our kids daily when they were little, but now that they can read on their own, we don’t really do this anymore. HOWEVER! This is a good tactic for your readers who are struggling. Read out loud to them from books that are just above their reading level They will enjoy hearing a story that they aren’t able to read on their own. If they really enjoy the book, they might get courageous and take a peek in there to see what comes next. This is how I got my reluctant reader to start reading longer chapter books on her own. She really wanted to see what happened in the next in the series. 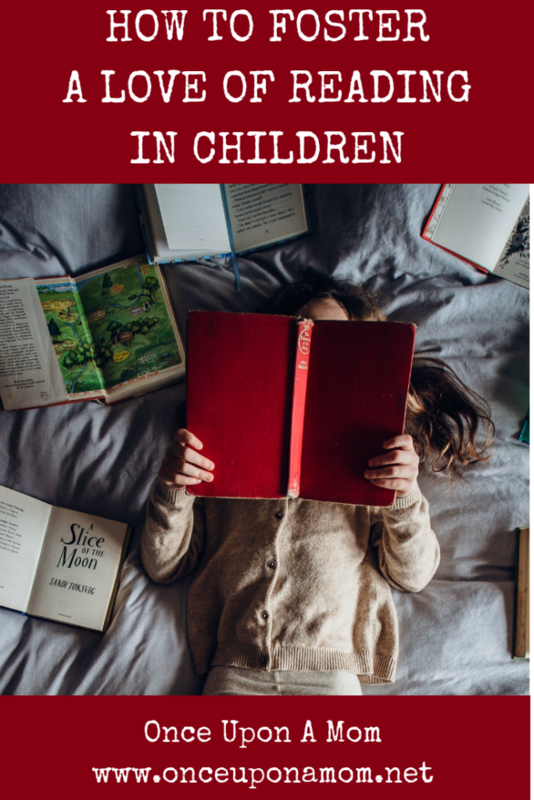 Hopefully you’ll find some tips in this list that help your kids find a love for reading. I’d also love to hear your tips for getting your kids to read! Please drop your best tip in the comments section. Yes to all of these! I have 3 readers and have done a lot of these same things. Graphic novels were a great gift for my son and encouraging a love of reading. Right? I just can’t love graphic novels enough for boosting confidence in hesitant readers! Such great tips! I feel like books are being neglected with the abundance of screens these days, but they’re SO important to our kids’ development!! So true Deb! I’m so glad my kids still love their books! Thanks so much Deb! I completely agree with you!